Here is what remains clear in my recollection. 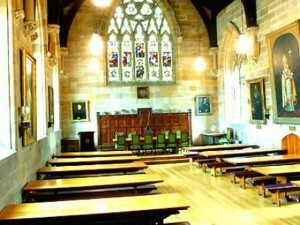 On a weekend of late January, in 1987, some five months before Bapak’s death, an Asian zone helper’s gathering was held in St. John’s College, Sydney. There were about 60 participants from around the region. I was one. The three day event, an attempt to calm a sea of issues that Subud apparently faced, was a dawn to midnight almost frenetic working session of testing, latihan and discussion. 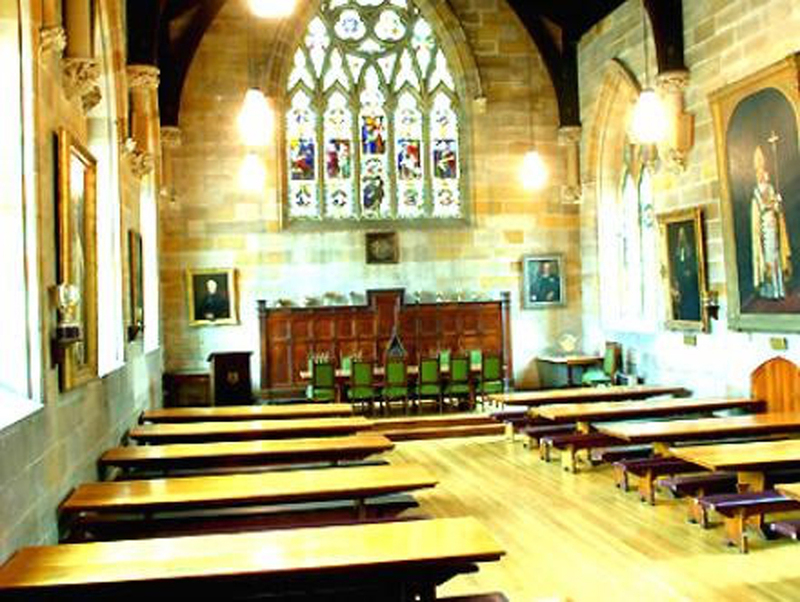 The sixty participants were divided into three working groups of twenty, men and women. ‘Result orientated’ I guess you would call it nowadays. By late afternoon Sunday, the final day, we were truly exhausted by our efforts and likely not much wiser for them. However we were enjoined to summarize our results and recommendations as best we could for the record. Sometime about three o’clock in the afternoon my group sat in a circle at the far end of the upstairs hall of St. Johns, while the other two groups, also consisting of twenty helpers, met elsewhere. Raymond Van Sommers was our group leader. It was then that I noticed a blue light appear over the shoulder of someone about 3 or 4 seats away from me, and no sooner noticed but it sped around the entire circle uniting us all in a flash of pale, electric blue. The change was instantaneous; a total alteration of state in which much of the territories of personal self were lost. I merged in a total sympathetic ‘one-ness’ with the inner feelings of all of those men and women with whom I was sitting. There was no longer me and them. There was only ‘we’, as one. This I will insist was a mutual condition enjoyed by all. Not one of us spoke for there was nothing to say, and most interesting, no reason to speak for we were all in perfect communion; our inner borders had vanished, as had our desires to be smart, cute, or anything else. “I think something new has been born”. As a chorus we hummed our approval and Raymond dutifully jotted it upon his notepad. And that was the end of it. No more could be said. No more words would be jotted upon that pad. It was the best we could do. We sat still, simply resting in the delicious and utterly peaceful warmth of this remarkable feeling. Despite any claims to the contrary that might arise from anyone else present at this ‘occurrence’ I will here insist that we all did experience what I described above. I say this because I was ‘them’ and ‘they’ I. Any difference of opinion on this I will insist are cases of stolen memories. It is that understanding I require of readers in continuing to apply ‘benefit of doubt’ to this story as I continue. It was then, as we luxuriated in this state, that someone appeared at the far doorway, holding up a tape recorder. ”Do you need one of these?” they said. We were as one body turned, and a little confused by the question having, as one body, no idea what they could possibly mean. “What for?” we asked, innocently fascinated. We all, simultaneously, found this thought comical, and as one, could not restrain a smile at the thought of putting ‘this’ on tape. It could not be put into words. It was everything, finished, the goal of ‘Subud’ made life, realised. What could we say? “Thank you, that’s all right “ one of our mouths responded politely, and they left. We now knew that we were alone in this experience, or so it would seem. Only the mad creatures that we had been 4 minutes ago would be trying to solve the mystery with tape recorders. We floated, now the new born of a future world, downstairs, many still shoeless in that lovely summer heat. It was time for the finally assembly of all the groups together and soon we composed a circle of about 60 persons. Each group gave a mercifully truncated version of their recommendations. Raymond dutifully read, “Something new has been born” and sat down again, no one questioning his extreme brevity. Then came the next ‘event’. The chairlady, sitting a few seats away from me, thanked everyone, and pointed out that many would shortly have to be leaving for their homes elsewhere in Australia and overseas. We were all seated. In my understanding, and perhaps in the brains of the others smitten with the utter grace that had happened upstairs, she was speaking of that blue magic we were feeling… and indeed upon those words she stood up. As she stood, as if by prior agreement, all of us were drawn up like 60 puppets on strings, standing spontaneously as one, and as we did I saw fly, once again the blue vaporous flash that had licked over our smaller group in the hall only a while earlier, now linking everyone in this much larger circle; now one family, one feeling, one inner, inseparable. The feeling was not to be described when I was feeling it, so it is pointless to try and give it words now- when I am not. We might as well have all been turned into apple trees. But I trust somewhere in our experience of the Great Life we all know what I am trying to describe here. As we then made to part from one another it became clear that the usual social graces of hugs and goodbyes had no tangible context anymore. We could not separate, no matter if we left the room or even the planet we were still one, uniquely close, inseparable within. There were, I now saw, lights in the faces of many. For example I will mention Harold: a regimented bastion of the working helper, a fount of fortitude and strong belief, and a man whose face was usually somewhat dark and touched with concern. One eye was afflicted with a tick that almost permanently fluttered from some deep inner tension. That ‘Harold’, in this moment, was gone. The man who turned to me had a face shining in a clear yellow light that literally bloomed and streamed from his cheeks and brow. His usually dark in-turned expression was now utterly open, transformed by this wondrous, palpable love that poured off him like water. The tick had vanished and his eyes were deep, quiet and clear, his look into me instantly conveying a beautiful grace that struck me so as to nearly burst tears from my eyes. I could actually hear his inner calling out to God in gratitude. Transformations of this kind were on the faces of many as I looked about. And there were no words for it. We could not have said what was happening to us. As many left I waited outside for my lift. I sat on a bench next to a tree outside the entrance. Someone sat next to me I recall. I have forgotten whom and would like to know. We had our shoes off. It was then that the first ‘miracle’ occurred. Several of us had habitually used this bench to sit and smoke between the sessions. There were always tiny ants coming from the trees. Thousands of them. They had always been annoying and would have to be constantly brushed off ones feet while sitting here. This time, as we sat, bare footed, and in the ‘newborn’ world, we noticed something. 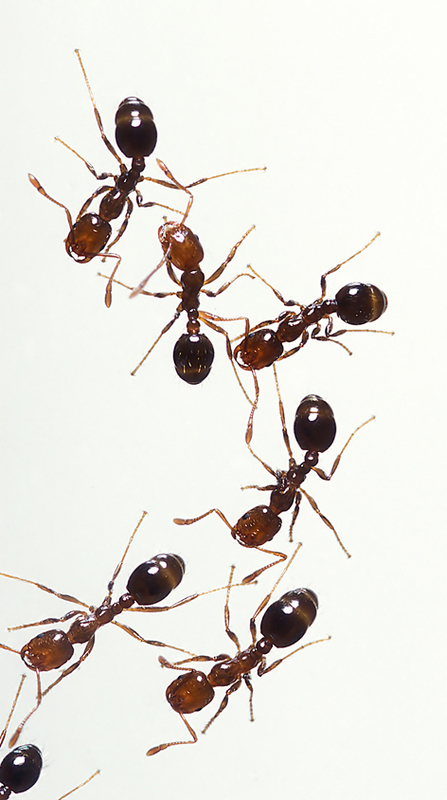 The ants ‘refused’ to come closer than two inches from our feet and would divert as if they had met with a force field. Like a couple idiots we were fascinated by this and moved our feet right into the streaming path of the ants. Again, they diverted, forming a path as if hitting this force field around our feet. Like a couple of nitwits we now fully employed ourselves at playing with this ‘forcefield’, watching them hit the invisible barriers. Such was the ‘miracle’ of the ants. Note: I am certain that a number of people had experiences similar to my own at the very same time at that Sydney gathering. Daniel Jansse I believe was one. He was to tell his wife Rosanna and friends that some shatteringly powerful event had happened to him around the time of the Sydney gathering, seemingly well beyond anything he could have expected to exist within the latihan. But through the rest of his life he remained unsure that he could ever share this story. Not long before he passed away, Daniel told Rosanna that if God did not take his soul through his illness, that he would share the story with her, but he passed away before he could do so.